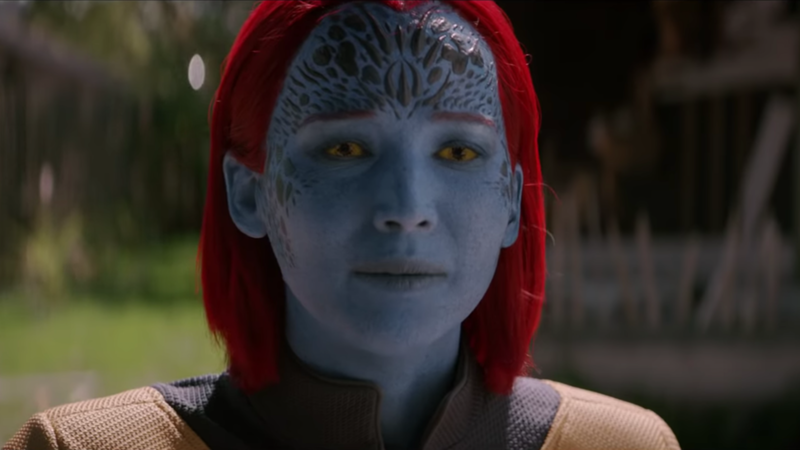 The new trailer for Dark Phoenix came out last Thursday and we got a glimpse of what Jennifer Lawrence would look like as Mystique in the new movie. Needless to say fans of the X-Men franchise were not impressed by the new re-imagining. 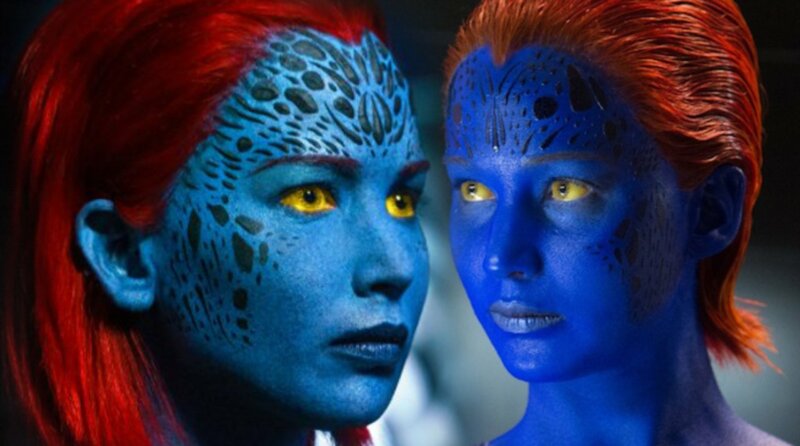 This will be Lawrence’s fourth and final movie in the X-Men universe and instead of going out with a bang or at least keeping the makeup consistent they decided to change it up. Partly due to the effect that the original makeup had on her skin and partly due to the amount of time it took to get her into makeup. After four years of full body makeup anyone would be tired of sitting/standing to get ready, but it is the last film so why change it now? And why put that weird stuff on her head? The fact is that they could have gone a much simpler direction if they wanted to change it up. Mystique has historically been blue yes but not textured. That was a new invention by the films to make her look more interesting I guess. 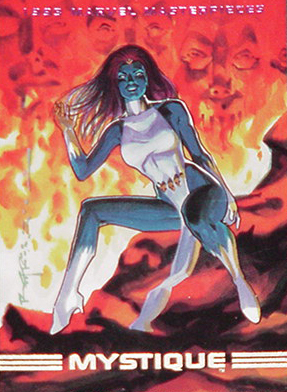 Mystique in the comics, card artwork, and cartoons has been depicted with smooth blue skin. Something that would have been much easier to apply to Lawrence and kept it in sync with the X-Men Universe. It all boils down to what they are going to do with her anyway. This is the end of Lawrence’s contract and there is a rumor that she will be killed off in Dark Phoenix. So this may be the final time we see her in makeup like this. I would hope that the next incarnation takes the simpler route that is more akin to the comics. 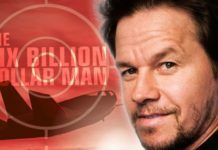 That will be up to Marvel though as the ownership for the franchise has recently changed hands from Fox. What did you think of her look in the trailer? Tell us in the comments!